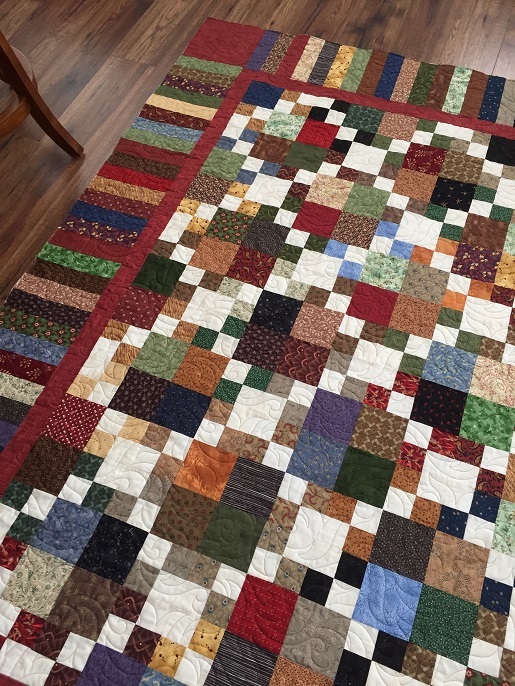 Vicki brought two quilts that are Four Patch variations. The first one is my Four Patch Charm Quilt pattern that you can download for free from my blog sidebar. 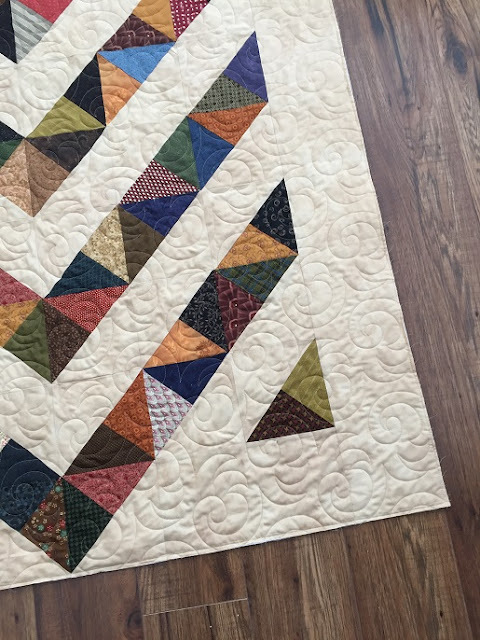 You have to see how the quilt is constructed to find the four patch used in it! Vicki used a great selection of medium to dark fabrics with a beige background, its a great quilt to use up scraps! 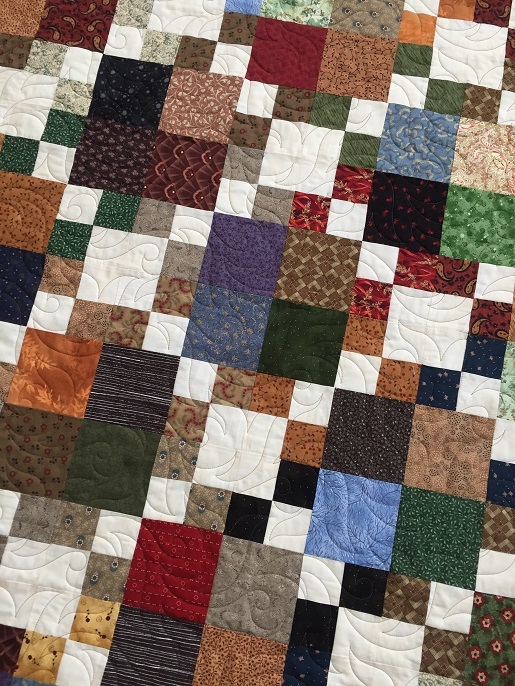 I picked Plush for the pantograph, beige So Fine thread and Quilters Dream Blend batting. 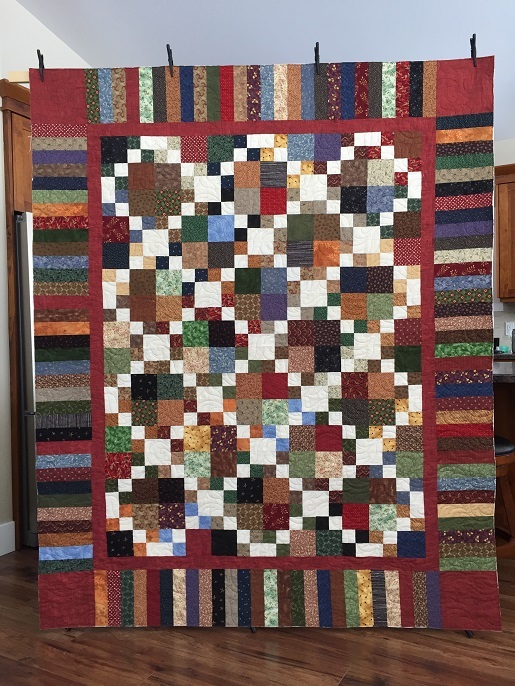 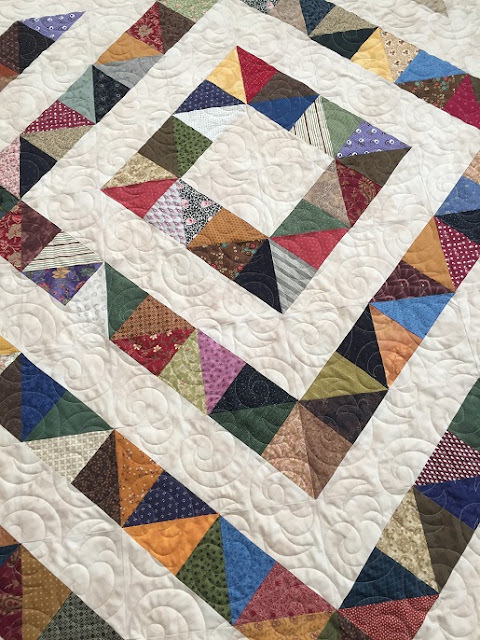 Vicki’s second quilt is a great traditional Four Patch quilt using two sizes of four patches in the layout. 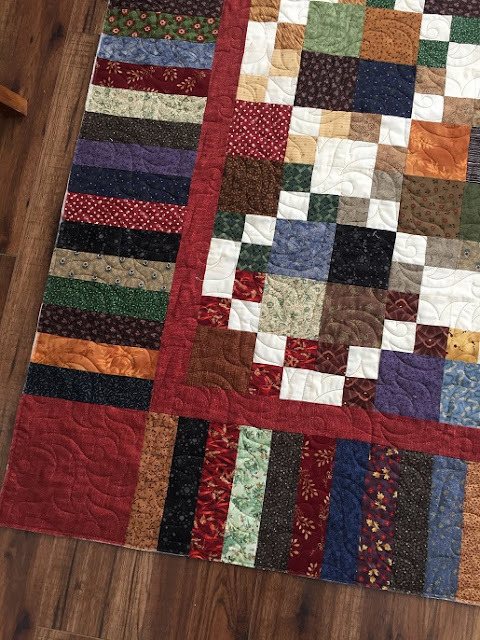 Love the addition of the piano key border for this scrappy quilt. 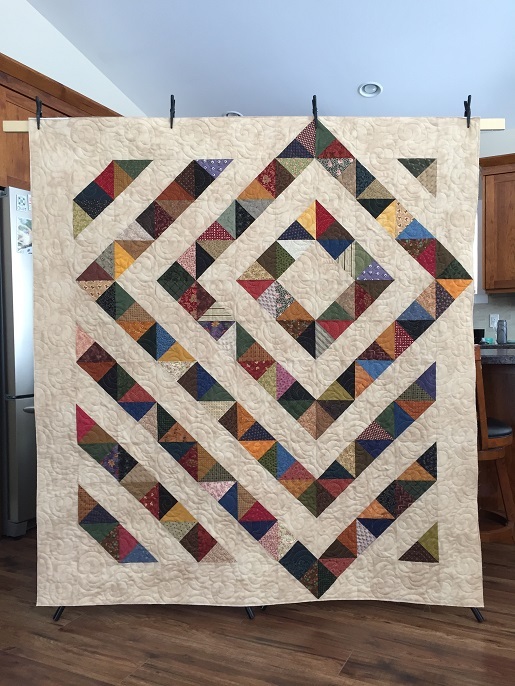 I used Mimosa for the pantograph, beige So Fine thread and Quilters Dream Blend batting. 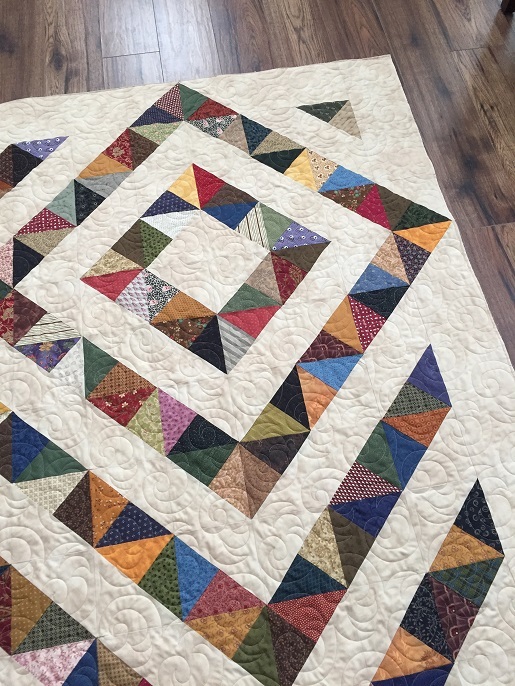 What a great use of scraps - the quilts are beautiful!